Those that live with pets experience contentment on a daily basis, in my humble opinion. My three dogs exhibit contentment every day, as they lay around the living room, surrounded by their people. To them, that is the perfect life. Oh yes, they’d appreciate being free-fed and having endless walks and unemployed humans, but they just ooze contentment when everybody is home. I’ve just returned from a week of vacation, and my dogs spent time with good friends of mine. Tonight is our first full night as a family unit again, and the dogs are clearly happy. Grace and Jack Jack, snuggling as per the status quo. 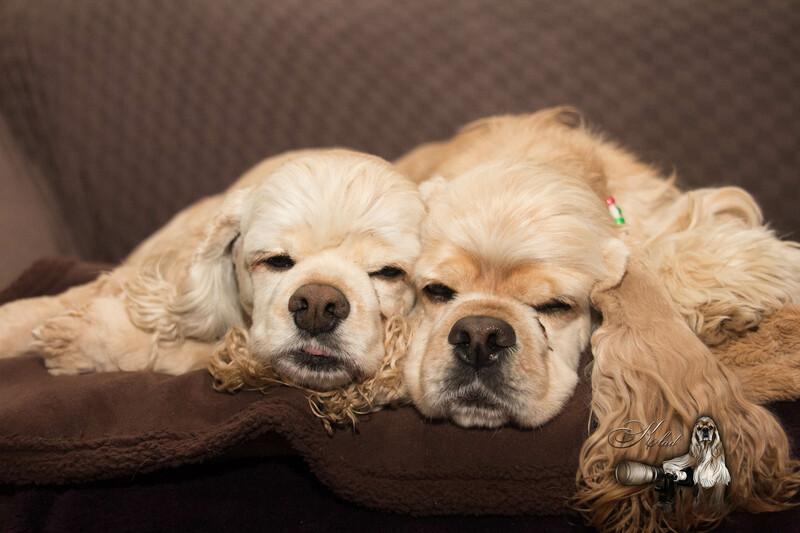 I hope you’re sharing my dogs’ contentment! As this is a blog ring, please continue to Boston dog photographer Blue Amrich’s blog for more awesome photos . Once you’re done with Blue’s blog, keep clicking through the links at the end of each blog until you get back here, and you’ll have seen all of the Project 52 blog posts for this week. 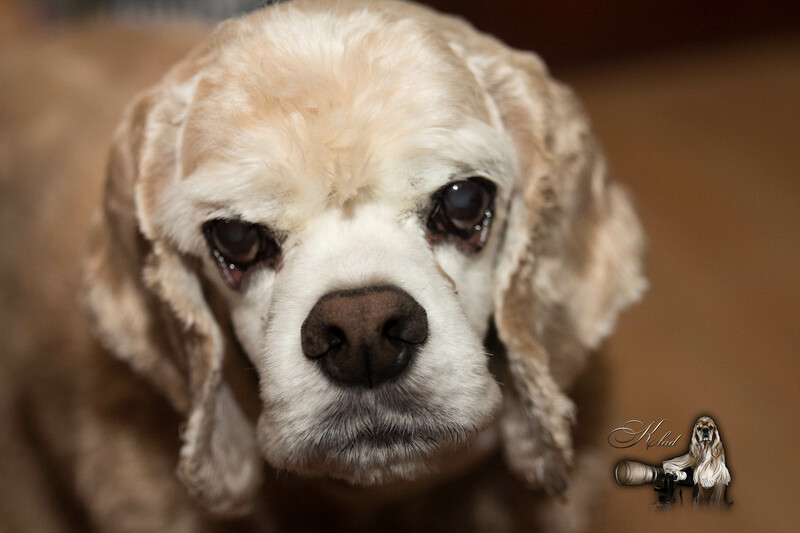 KLAD Photography is a mobile pet photography business which operates in Northern Alberta, Canada. Shoots can be done in the comfort of your own home or at an agreed-upon location. Providing pawparazzi for your pet! Posted on November 16, 2012, in Project 52 and tagged 52, american, ASCOB, beasties, beautiful, buff, cocker, content, contentment, dog, happy, network, Project, spaniel. Bookmark the permalink. 2 Comments. Grace’s tiny tongue in the top photo is priceless. They all look very content! I just love your snuggling puppies! !